With 1400 watts of power, the Bonavita BV1800 raises the temperature to ideal levels in no time. It’s one of the few machines for home use certified by the Specialty Coffee Association of America (SCAA). This machine means business. We appreciated its simplicity in design and superior function. The hot temperatures help extract the full flavor of the beans, making for a delicious brew. 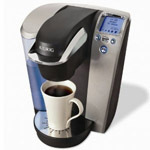 The Keurig single-cup coffee machine is a popular line, and the Keurig B60 gives you 3 brewing sizes. This machine takes all the difficulty out of making coffee; it can heat water in just 20 seconds, allowing you to make coffee, tea, or hot chocolate with ease. If you don’t mind buying the K-cups (some retailers offer them in bulk), then the Keurig B60 is a worthy purchase. Everyone likes options, which is why the Hamilton Beach Two Way Brewer Coffee Maker is so appealing. You can choose between a single serving of coffee in a travel mug or brew a full pot in the 12-cup carafe. It also comes with a lidded 14-ounce stainless steel mug for your drinking on the go. Note that for the single serve option, you’ll need to buy Senseo pods. The Cuisinart DCC-1200 is another programmable coffee machine that has a brew pause button, so you can get a head start on enjoying your morning cup. You can program the machine in a number of other ways, from automatic shut-off to how many cups brewed. Another highlight is the charcoal water filter, which purifies the water that makes up one of the key ingredients of the coffee. The Presto Stainless Steel Coffeemaker has an elegant, traditional design that will be sure to draw attention. The filter basket and the perk tube, as well as the glossy exterior, are made of stainless steel. This percolator ensures a bold, rich flavor, and it percolates quickly, at about one cup a minute. We were satisfied by the easy maintenance, too—just some light brushing of the filter basket. The stainless steel thermal carafe of the Zojirushi Fresh Brew EC-BD15BA, which does not need a hot plate to keep warm, prevents your coffee from tasting burned after a while. And the coffee tastes full and rich, due to the insulated brew basket that helps maintain the proper temperature. 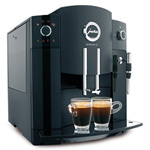 Convenient features include a pause brewing button and a programmable clock. Because of its front-loading design, the Delonghi 12-Cup Drip Coffee Maker DCF212T can comfortably fit underneath kitchen cabinets. It’s equipped with a metal mesh filter, which saves you having to buy paper filters, although some people argue that those produce better-tasting coffee. 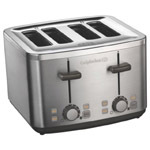 Special features include a brew pause button, a programmable timer, an end-of-brewing beep, and automatic shut-off. Want a cup while the Mr. Coffee DRX5-NP is still brewing? You can press a button to pause the machine while you pour. That’s one of the nifty features of this coffee machine, which has two clear windows to the water reservoir tank and a removable filter cup for easy cleaning. 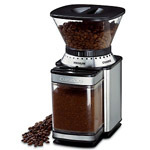 If you’re the sole coffee drinker in your house, then the 4-cup Mr. Coffee is just right. The Melitta 46894, a sleek-looking stainless steel appliance, offers regular, bold, and robust coffee settings. Once the coffee has brewed, the insulated stainless steel carafe keeps the coffee tasting warm and fresh without the warming plate. We were impressed by the full flavor of the coffee, and by how easy it was to clean the machine afterward. 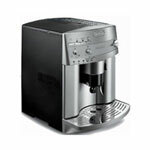 The Cuisinart DCC-3000 possesses several handy features to make your coffee-drinking experience more enjoyable. There’s a 24-hour delay start, a self-cleaning cycle, and a gauge to show you how many cups are left. The machine dispenses one cup at a time with an actuator, so each one tastes fresh (also thanks to the charcoal water filter). We liked the on-demand aspect of this machine. Follow us on Twitter @Tenrate ! © Copyright 10Rate 2019. All rights reserved.